In early 2017, the Missouri Governor's office set a goal of reducing Missouri’s regulatory burden by 33% and instructed departments to solicit public comments to guide the review process. 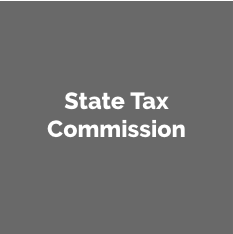 Argive worked closely with the Governor’s office and state departments to launch a website that collected public comments on regulation and reported progress in real time. The website supported the Governor’s regulatory review initiative by encouraging wide public participation and offering unprecedented visibility into the regulatory review process. As of July 2018, departments have collectively received 4,500 comments on various regulations and have identified 12,448 regulatory restrictions for elimination. This represents a targeted reduction of 11% out of the 113,112 regulatory restrictions in the Missouri Code of State Regulations at the start of the initiative. These targeted restrictions come from 778 rules identified for amendment or rescission. Since there are 10,484 rules in the June 30, 2018 edition of the Missouri Code of State Regulations (CSR), the review effort has changed or amended approximately 9% of all rules in Missouri. As of September 30, 2018, 125 (16%) of the 778 targeted rules have completed the formal rulemaking process as Final Orders. The review deadline was extended by Executive Order 18-04 and concluded on September 30, 2018. On January 10, 2017, the Missouri Governor’s office issued Executive Order 17-03, ordering a mandatory review of all 10,000+ rules in the Code of State Regulations by May 31, 2018. The initiative was colloquially called “No MO Red Tape” to target unnecessarily burdensome regulations or other government processes that did little to protect or improve public health and safety. By repealing ineffective and unnecessary regulations, No MO Red Tape sought to make Missouri more attractive to businesses and encourage overall job growth. To publicize these efforts and collect public feedback on regulations, Argive created a dedicated website for the Governor’s office and collaborated with individual departments to assist their rule review processes. Each of the state's 17 departments appointed an individual "red tape cutter" to oversee the department's rule review and public comment collection process. Each red tape cutter reported directly to the Governor’s office and provided periodic updates on the department’s activities. In its review, departments counted the number of binding constraints or “restrictions” according to the QuantGov model to better quantify the actual impact of regulations. 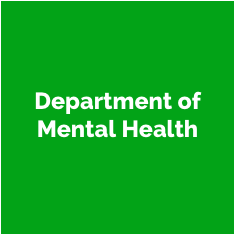 A “restriction” is a word that indicates an obligation to comply such as “shall,” “must,” “may not,” “prohibited,” and “required.” The Governor’s office set a goal of reducing these restrictions by 33% across all departments. To better organize their review efforts, departments used a 20-field form that examined the origin, intent, and impact of every reviewed rule. A sample form can be downloaded here. Argive collected and synthesized this data to report state-wide progress. 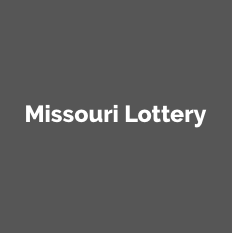 This report reflects all data received from Missouri Departments as of October 2018. When No MO Red Tape first started on January 10, 2017, the Missouri CSR contained 113,112 regulatory restrictions spread out over 7,500,000 words of regulatory text. Departments have since identified thousands of regulatory restrictions for elimination. The Department of Natural Resources (DNR) was particularly successful in reducing red tape. After reviewing 100% of their rules, the DNR targeted a 37% reduction in restrictive words and a 26% reduction in total rules, with over 64% rules recommended for amendment or rescission. In addition, the No MO Red Tape website and individual departments collectively received over 4,550 public comments on regulations. The Department of Agriculture alone received 2,183 comments, with many providing actionable feedback on specific regulations. In sum, Missouri departments identified at least 778 rules for amendment or rescission according to data submitted via the 20-field form. The proposed amendments and rescissions collectively represent a reduction of 12,448 regulatory restrictions. As of the June 30, 2018 edition of the Missouri Register, 363 targeted rules have entered the formal rulemaking process as proposed changes, and 125 have completed the formal rulemaking process as Final Orders. The 125 rules that have completed the formal rulemaking process for either amendment or rescission represent a reduction of 1,430 regulatory restrictions, which is a 1% reduction in total starting regulatory restrictions. To organize the rule review process, departments tracked their progress using a 20-field form that examined the origin, intent, and impact of the rule. The following graphic has been populated with data from the 20-field form. “Targeted” indicates the number of restrictions contained within a department’s rules that will be eliminated based on planned rule recessions or amendments. “Remaining” refers to the number of restrictions remaining after all targeted eliminations have completed the formal rulemaking process. The following spreadsheet aggregates rule review information submitted via the 20-field form. This data can be sorted or filtered within the embedded view or downloaded as a .csv file. Note: The Public Service Commission opted not to use the 20-field form to organize their rule review, and their results are not shown in this spreadsheet. This data includes rules reviewed that were not identified for change. Executive Order 17-03 required each state agency to accept written comments for at least 60 days and hold at least two public hearings to collect public feedback on regulations. Many departments exceeded this requirement by continuously collecting comments throughout the rule review period or soliciting feedback at large public events such as the Missouri State Fair. In addition, Argive collected feedback on behalf of the Governor's office through the No MO Red Tape website (formerly nomoredtape.com). Commenters were encouraged to identify a specific rule and agency, provide an example of the rule’s impact, recommend an action (e.g. amend, repeal, keep), and express additional concerns related to the rule. Commenters could also opt to submit feedback anonymously. A copy of the No MO Red Tape survey form can be downloaded here. With No MO Red Tape and individual department participation, Missouri collected over 4,500 public comments on red tape reduction. The following spreadsheet aggregates all public comments collected by individual departments and the No MO Red Tape website. This data can be sorted or filtered within the embedded view or downloaded as a .csv file. Upon concluding their rule review, departments published a final report that summarized their process and outcomes. These reports detail each department's approach to soliciting public feedback through public hearings, department websites, the No MO Red Tape website, and other sources. They also summarize each department's rule review outcomes, including key success stories, the total number of rules reviewed, reduction in restrictive words, and the number of rules that were amended or rescinded. After departments identify potential rule changes, they submit the proposed amendments and rescissions to the Missouri Secretary of State to begin the formal rulemaking process. The first step in the formal rulemaking process is to publish the proposed rule change in the Missouri Register, which is followed by a 30-day public comment period. After this 30-day period, each department considers any comments received and files a Final Order of Rulemaking. Rules take effect 30 days after being published as Final Orders in the Missouri Register - or at a later date selected by the department. Proposed (Informal) - The department has identified a rule for amendment or repeal. 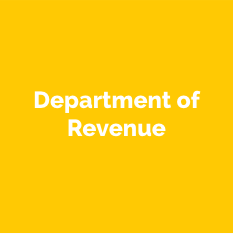 Proposed (Formal) - The department has filed a Proposed Rule with the Secretary of State, and the Proposed Rule has been published in the Missouri Register. 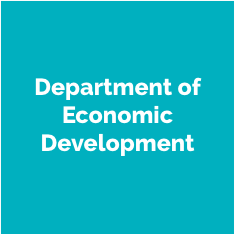 Final Order - The department has considered any public comments received during the comment period and has filed a Final Order of Rulemaking. The Final Order of Rulemaking has been published in the Missouri Register. Argive's rule tracker maintains a database of all proposed and final rule changes published in the Missouri Register. This database is generated through an automated file reader that extracts structured relational data from Missouri Register PDF files. The source code and accompanying documentation for this tool is public and available here. While the tracker matches rule changes by citation and description, verifying actual changes in restriction counts requires an analysis of the Code of State Regulations both before and after a Final Order has been published. This analysis is currently outside the scope of the rule tracker’s capabilities, but may be added in future updates. While the results of federal regulatory reforms are mixed, state-based initiatives are taking strides to reduce red tape. In this report, Argive surveys the fifty states to identify the driving factors behind successful executive-led regulatory reform policies. Questions or comments about our work? Contact us at team@argive.org.